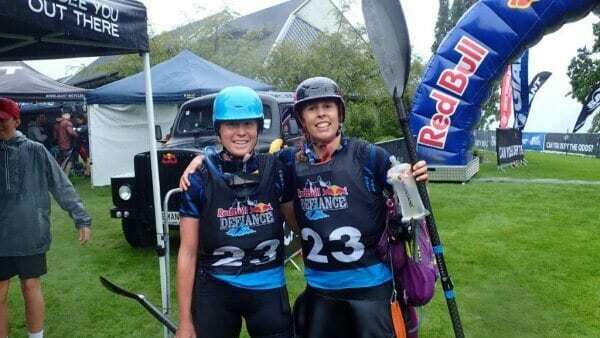 Red Bull Defiance (RBD) has been on my bucket list for as long as the race has been around (this was the fifth year). 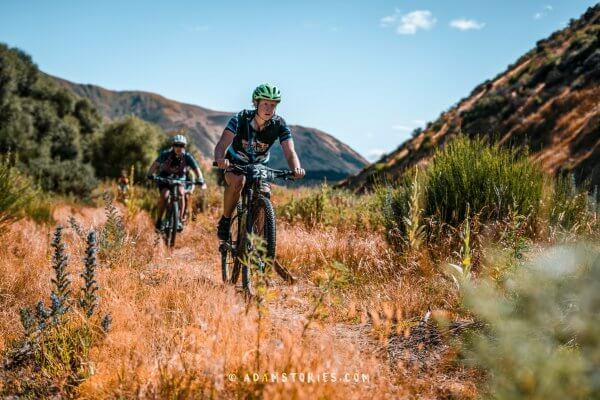 When the opportunity came up to race with my good friend Kathryn Bunckenburg again, I couldn’t resist giving it a go. 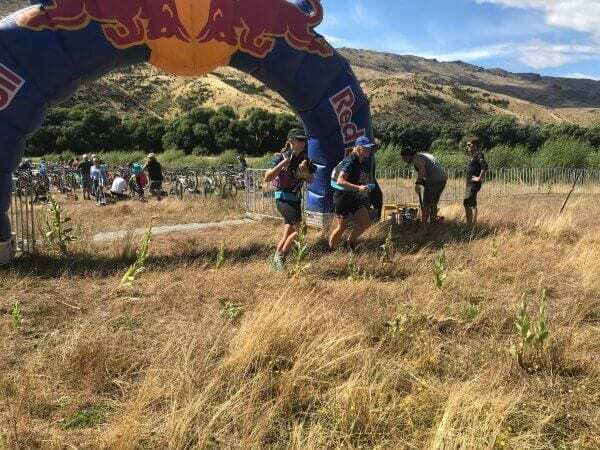 The race is in Wanaka and involves two days of kayaking, trail running, mountain biking, an abseil and a mystery activity. The course also involves a large amount of elevation (roughly 4,000m). You complete the whole event in a pair which means teamwork is important. We had both had challenging build-ups to RBD with life and work impacting on our training. We decided our main aim was to have fun and race hard. It was still dark when we arrived at the Edgewater Resort (race HQ), ready to jump onto the bus to get to the start line. The bus trip was longer than expected and it was hot and stuffy in the back of the bus. We were feeling a bit sick from the windy road, which ended badly with Kathryn throwing up her breakfast into my pack liner. We were both glad to get off the bus into the fresh air and onto a barge to get across the lake. Not long after, we were on the start line ready to go. Then we were off. It was a nice four-wheel drive track to start; the pace was quick as it was mostly flat with some ups. Kathryn was not feeling great and struggling with energy after losing her breakfast. I tried to support her, so we stuck at her pace and she worked on eating some food. She felt better after 45min and started to charge along well. Alas, then I started to feel sick on one of the hill climbs and struggled with this throughout the rest of the ride. I tried to keep eating and drinking. There were some steep hills, we managed to ride some and walked our bikes on others. When I wasn’t feeling well, Kathryn and I swapped bikes walking up the hill as her bike is lighter than mine. This worked well. We got off the bikes and had a reasonable smooth transition, leaving the transition while stuffing our packs with more food and water. We started the run with a steady pace along some undulating single track before hitting the steep climb. I was pleased to have my poles for the climb. As I still wasn’t feeling great and Kathryn was feeling good she offered the tow me for some sections. I was glad when we got up the climb and onto some nice running sections, then before we knew it we were at the abseil. We took this opportunity to eat some food and chat to people. We didn’t realise that we would be waiting for 45min – 1hr and we ended up getting cold (it also started raining). It was good when we finally make it onto the abseil. While getting the brief, I looked over saw that Kathryn was already gone, so I tried to chase her down the abseil. It was a fun abseil with a cool view. We set off again on the run and got a lovely surprise as my Mum and James (Husband) had found a spot where they could cheer as on. 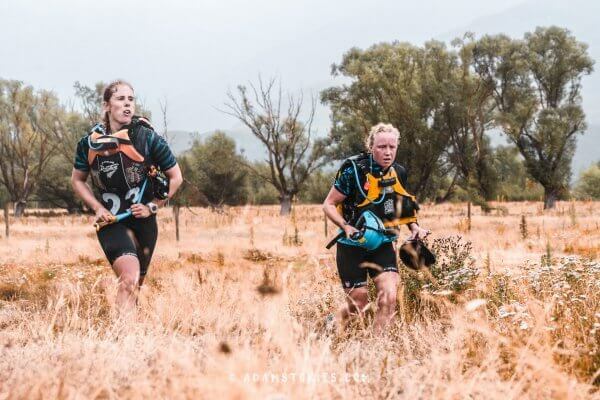 We chipped away at the last section of the run, working hard as we knew we wouldn’t need out legs anymore. I was excited to see the TA and so was my stomach which decided to empty it’s contents onto the ground. That sucked and I’m still not sure why this happened. Once at the TA it turned out we still had a bit more running to go, so we picked up our lifejackets/helmets and shuffled our way along an estuary to the kayaks. We were excited to make it to the kayaks and were looking forward to this stage. Off we went on the nice flat lake for a solid paddle to the finish. We were working hard in the kayak, steadily chipping off the distance. After a while we paddled around a point and hit rough/wavy water. This was one of my favorite parts of the day as we had lots of fun surfing the waves. Then we were at the finish and stoked to have competed day one. At the end of day we turned our focus to recovery and prepping for the next day. This involved packing our food and gear into transition bags and dropping them at Edgewater Resort for the next day. This also meant ensuring we were eating food to help over bodies recover. We also discussed a race plan for the next day, and how we were going to approach the day it, as it would be a big one. Kathryn and I were on the water at 6:15am in the kayak ready to tackle day two. Then we were off! The pace was fast and there were kayaks everywhere. It was wavy, windy, and people were bumping into each other everywhere. Kathryn and I were working hard. We made it across the lake, headed down the Clutha River while keeping the pace up. We accidently paddled through a big wave, which was fun. Beforewe knew it we were at the take out. Then we ran to the mystery activity which was knife throwing into a hay bale. My throw was dismal. Kathryn saw this and promptly nailed it, saving us a penalty run. Then we were off to transition onto the bike. We had a smooth transition onto the bike, but were not sure if we were riding in the right direction when we left. Luckily we were, however my bike was not going well as the top gear was slipping. It turned out I didn’t need that gear anyway as we soon got into the hill climb that went up, up and up. The gears on both of our bikes did not sound good and we wished we had packed some bike lube in our transition box . I was feeling much better today and was enjoying the climb on the bike. 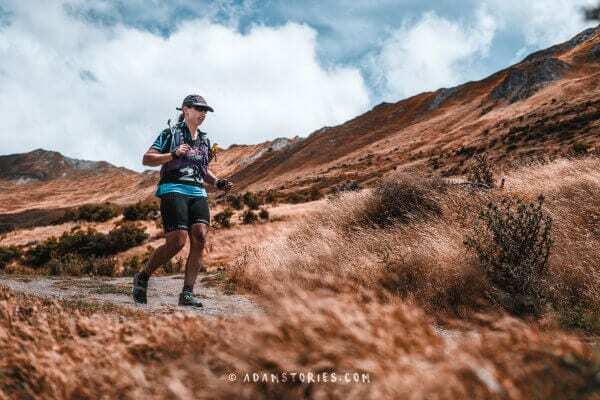 We settled into a steady pace for the ride knowing it would be a long climb and that we didn’t want to blow ourselves up for the run. We finally made it to the top and got to enjoy some downhill. We made it to the transition in one piece ready to tackle to run. We eased into the run at a steady pace while getting some nutrition in. It started with an undulating track followed by a big hill climb that went up, up and up. I used my poles on the climb to help drive me forward. We also used the tow on some sections, which helped to keep the pace up. My main nutrition on this run was gels and water as it was challenging to eat solid food. When we hit the ridge, we ran what we could and moved along it steadily. We were stoked to make it to Mt Roy and onto the downhill. It was a super long downhill (7km!). When we made it to the bottom, my feet were sore and we knew it was time to finish the race off. Kathryn put me on the tow, we eased into the final 5km and built the pace up. We saw some teams not far ahead and chased them down. The pace got faster with us pushing the final run section hard to make it to the finish line. Then were done and happy to have completed RBD, it was a challenging course. Kathryn and I worked well supporting each, through the highs and lows, to finish the race. We placed sixth overall in the female category in a strong women’s field. We raced well on the second day and felt it was a bummer things didn’t go as well on the first day, but we made it through the challenges we were presented. I am now recovering and getting ready to tackle my next challenge – Coast to Coast Longest Day!